Y.P.G. Christian Club Hosts Worship Meeting! The Y.P.G. 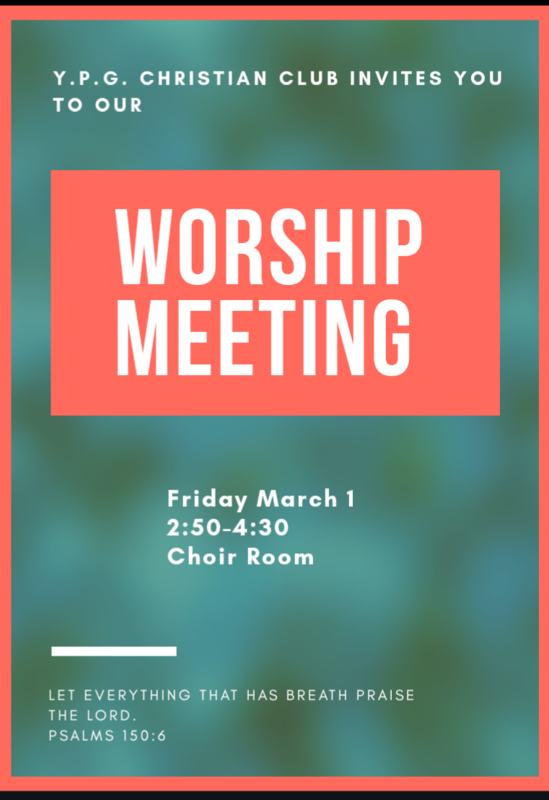 (Young People for God) Christian Club is hosting a worship meeting on Friday, March 1st from 2:30-4:30 pm in the choir room. They invite you to come out and enjoy an afternoon filled with praise and worship. Hope to see you there, have a blessed day!